The United Nations Foundation will premiere today “A New Picture of Health,” a groundbreaking documentary about the work of the Global Fund to Fight AIDS, Tuberculosis and Malaria and its ongoing impact in saving millions of lives – particularly those of women and children – across the developing world. “In less than a decade, close to six million lives have been saved by Global Fund programs,” said Timothy E. Wirth, President of the UN Foundation. "This documentary paints a compelling picture of why continued support will help the Global Fund save and improve the well-being of mothers and children across the globe. 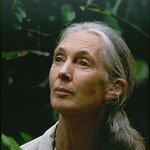 Narrated by Dr. Jane Goodall, founder of the Jane Goodall Institute and UN Messenger of Peace, the film chronicles how U.S. investments in health are empowering communities and putting an end to diseases of poverty. The film includes personal stories from community health workers, patients, and community leaders to show the impact of the Global Fund’s programs in Ethiopia, Rwanda and Indonesia, and was filmed in broadcast-quality Hi Definition by filmmaker David Evans in April and May of 2010. The Global Fund is a unique global public-private partnership dedicated to attracting and disbursing resources to prevent and treat HIV/AIDS, tuberculosis and malaria. Since 2002 the Global Fund has approved more than $19.5 billion in spending to combat these three diseases to date. About 35% of the Global Fund’s grants are used to build and strengthen health systems around the world. “As a former Minister of Health for Botswana I can attest to the importance of collaboration and performance-based funding that the Global Fund fosters by integrating its grants into existing national health plans and building partnerships with all health stakeholders in countries. This unique approach is one of the key reasons for the Global Fund’s profound impact all over the world today,’ said Joy Phumaphi, Executive Secretary of the African Leaders for Malaria Alliance, a coalition of 35 African heads of state committed to eliminating global deaths from malaria by 2015. 2010 is an important year for The Global Fund, as it faces a replenishment need of between $13 and $20 billion over three years (2011-2013). Of this amount, more than half will support programs in Africa. The Global Fund’s replenishment occurs at a critical point—the two-thirds mark in achieving the Millennium Development Goals. To watch a preview of the video, click here.